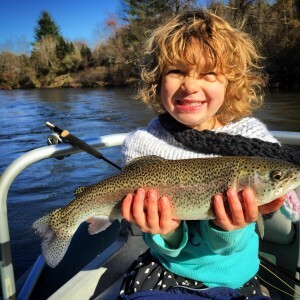 Trip Prices | Hookers Fly Shop and Guide Service. Your Smokies Fly Fishing Experience. Each Guide Can Accommodate Up To Three People on most large streams and small streams are limited to two anglers per guide. Large groups, church groups, corporate groups and children are welcome. 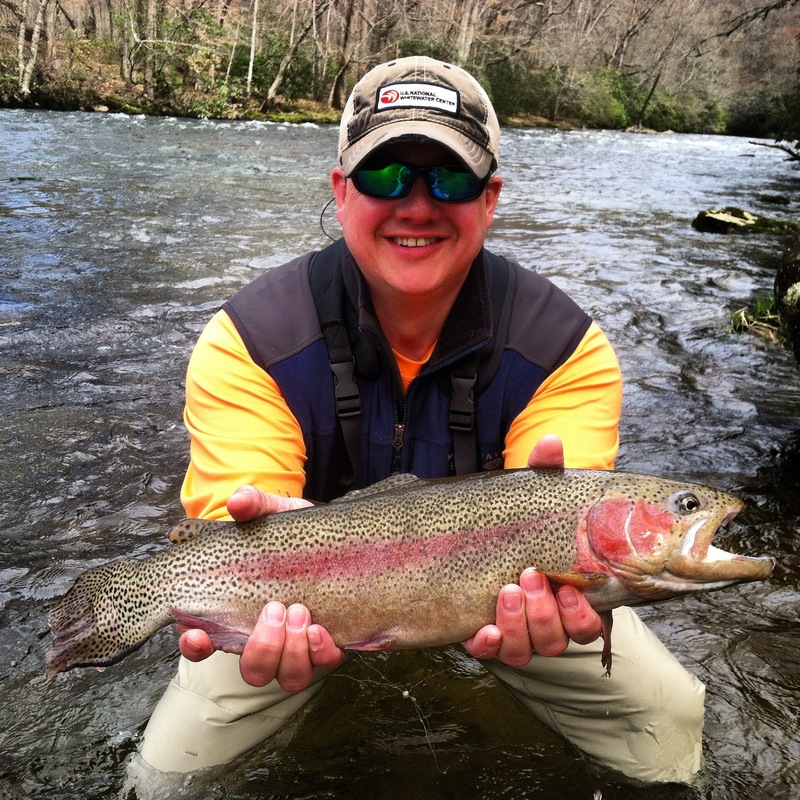 Guided Fly Fishing in Cherokee, NC. 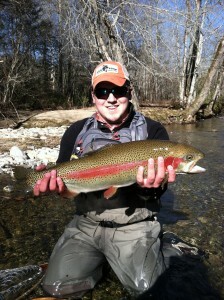 Longtime client Scott B. with a nice Raven’s Fork Rainbow. March 2015. $150 for the first angler plus $60 for each additional angler 4-5hrs on the water. Travel time does not deduct from your time on the water. 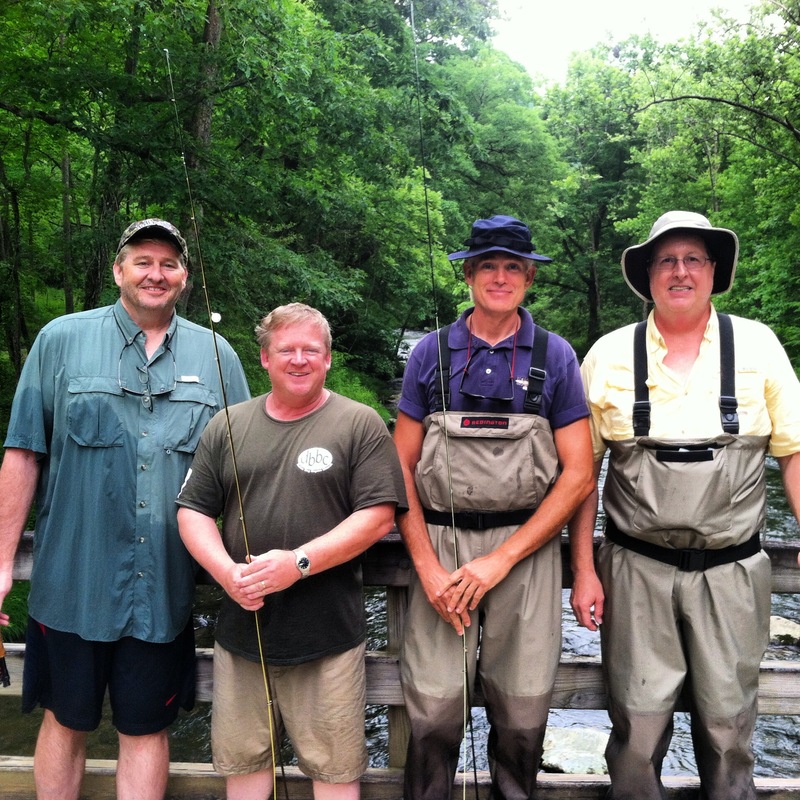 Two anglers per guide on small streams and up to three anglers per guide on larger streams. Click here to book. 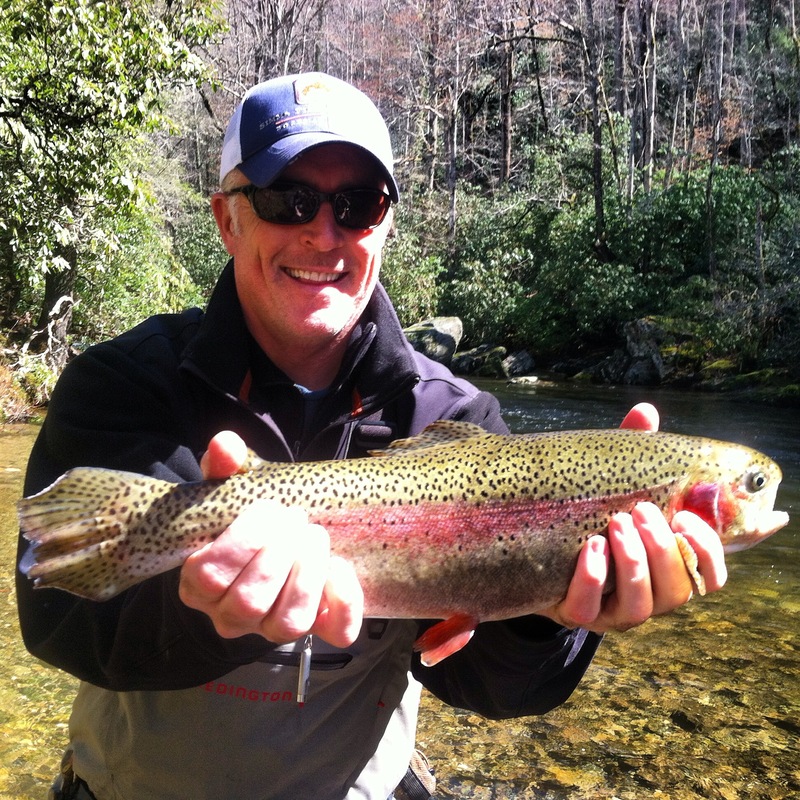 Guided Fly Fishing in the Great Smoky Mountains National Park. $225 for the first angler plus $75 for each additional angler 8-9hrs on the water. Two anglers per guide on small streams and up to three anglers per guide on larger streams. Click here to book. Guided Fly Fishing trips in Cherokee, NC. March 2015. $190 for the first angler and $65 for each additional angler 6-6.5hrs on the water. 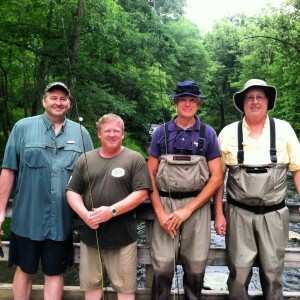 Two anglers per guide on small streams and up to three anglers per guide on larger streams. Click here to book. 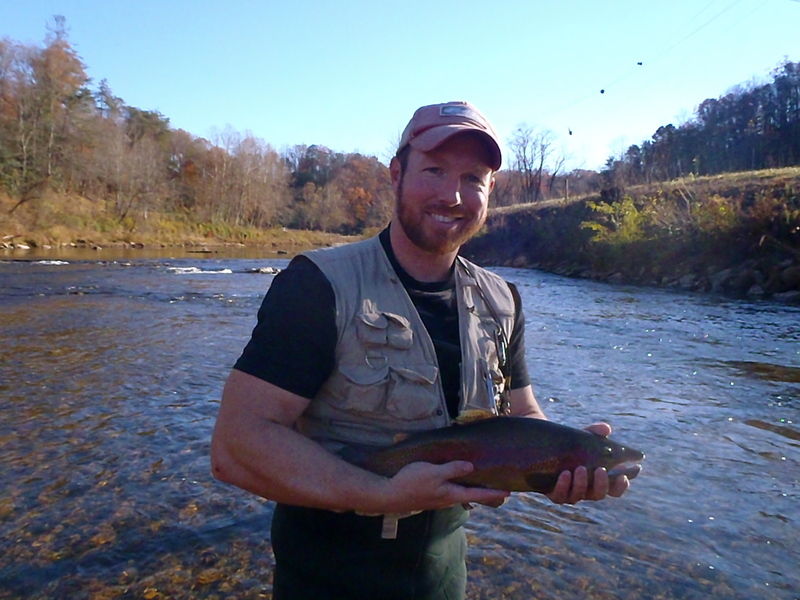 Fly Fishing or Spin Fishing Float Trips on the Tuckasegee River or the Little Tennessee River. $300 for a half day, $350 for a 3/4 day or $400 for a full day. Price is per boat. Based on 2 Anglers per boat. Multiple boats available. Single angler float trips are 10% less per trip. Click here to book. Summer 2014 Backcountry Flyfishing/Camping Trip on Hazel Creek in the Great Smoky Mountains National Park. Please visit the Backcountry tab or Online Store for more information. Click here to book. 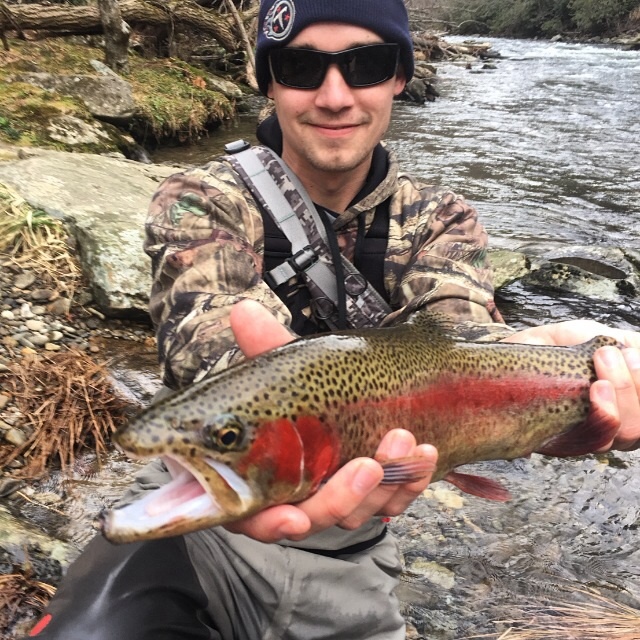 Fly Fishing in the Great Smoky Mountains National Park. 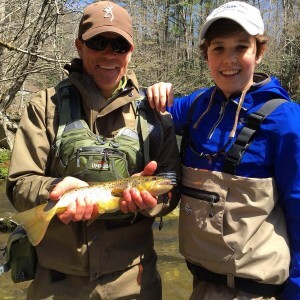 Fly Fishing with Kids. 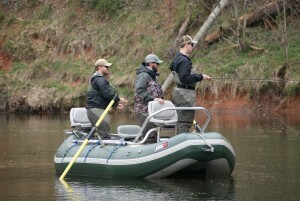 Tuckaesgee River Float Trip. 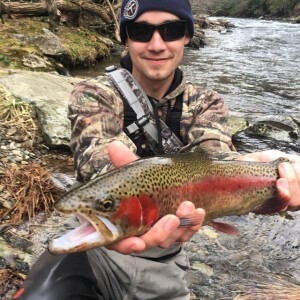 To book a trip please email us at hookersflyshop@yahoo.com or call us at 828-587-4665 You can also book your trip online through our online store. Click this link to book online. Gift Certificates Click Here to Buy! Gratuity: Tipping is not required, though it is an excellent way to show your guide appreciation for his hard work. If you enjoyed your trip, a 15 to 25% tip is recommended. 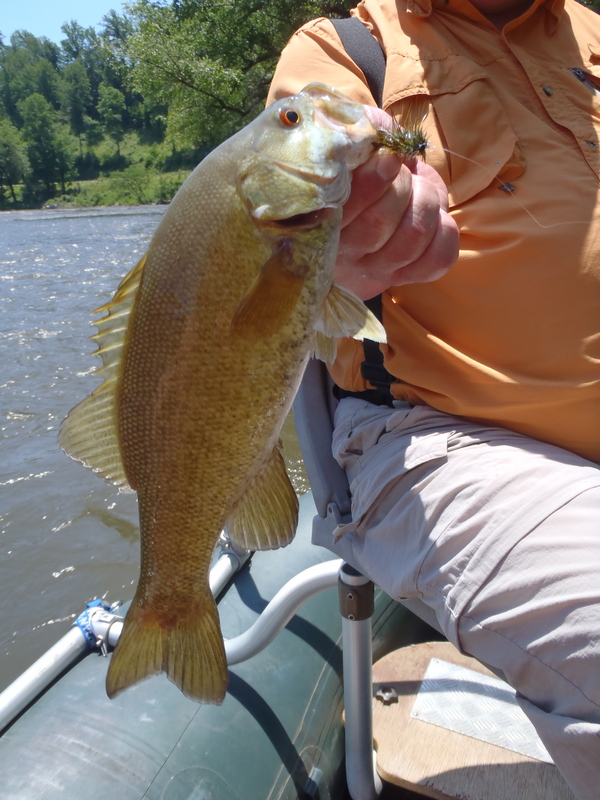 Nice Tuckasegee Walleye caught on a Tuckasegee Float Trip. Serving Western North Carolina and East Tennessee.